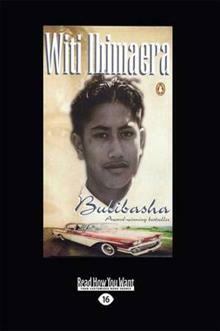 Bulibasha is the title given to the King of the Gypsies, and on the East Coast of New Zealand two patriarchs fight to be proclaimed the king. Tamihana is the leader of the great Mahana family of shearers and sportsmen and women. Rupeni Poata is his arch enemy. The two families cl... read full description below. Bulibasha is the title given to the King of the Gypsies, and on the East Coast of New Zealand two patriarchs fight to be proclaimed the king. Tamihana is the leader of the great Mahana family of shearers and sportsmen and women. Rupeni Poata is his arch enemy. The two families clash constantly, in sport, in cultural contests and, finally, in the Golden Fleece competition to find the greatest shearing gang in New Zealand. Caught in the middle of this struggle is the teenager Simeon, grandson of the patriarch and of his grandmother Ramona, struggling with his own feelings and loyalties as the battles rage on many levels.